The speed and brutality of a predatory attack can shock even an experienced martial artist. The sudden chaos, the cascade of stress hormones—you feel as though time slows down. In reality, the assault is over in an instant. How does anyone prepare for that? “You don’t get to pick where fights go,” Miller says. That’s why he has created a series of drills to train you for the worst of it, that will challenge you in ways that mere physical training does not. You will defend yourself on your feet, on the ground, against weapons, in a crowd, and while blindfolded. You will reevaluate your training scenarios—keeping what works, discarding what does not, and improving your chances of survival. As a former corrections sergeant and tactical team leader, Rory Miller is a proven survivor. He instructs police and corrections professionals who need techniques that work and unflinching courage. 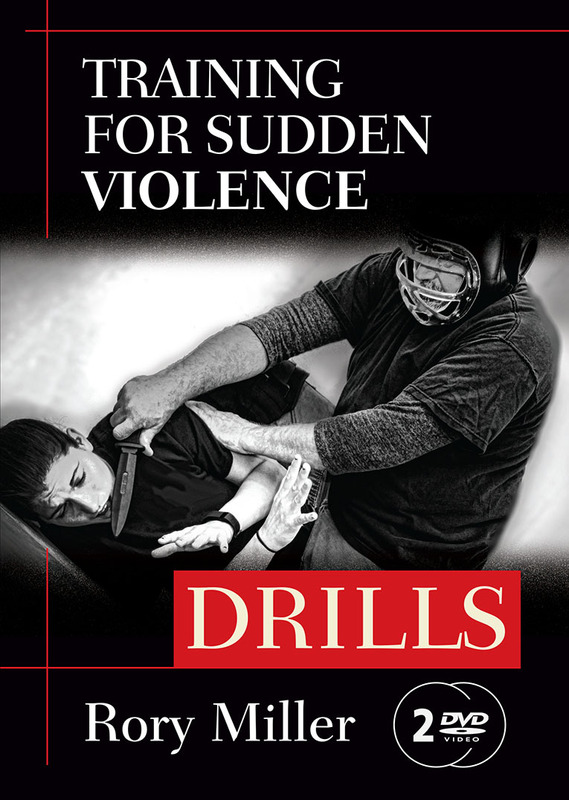 In DRILLS - Training for Sudden Violence, Miller gives you the tools to prepare and prevail, both physically and psychologically. He shares hard-won lessons from a world most of us hope we never experience. This is a fight for your life, and it won’t happen on a nice soft mat. It will get, as Miller says, “all kinds of messy.” Training for Sudden Violence 2-DVD set, prepares you for that mess.